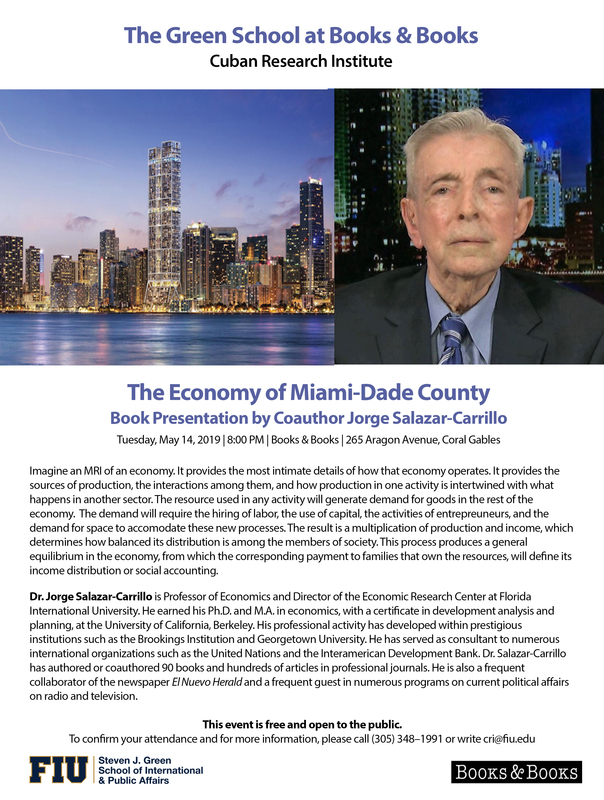 Professor Jorge Salazar-Carrillo will present his new book "The Economy of Miami-Dade County" at Books & Books Coral Gables, Tuesday, May 14, 2019, 8pm. We are very pleased to note that Dr. Monica Escaleras (Ph.D. 2003, FIU) has been promoted to full professor at Florida Atlantic University. Paper by Jesse Bull titled "Statistical Evidence and the Problem of Robust Litigation" (joint with Joel Watson) has been accepted for publication at the RAND Journal of Economics.